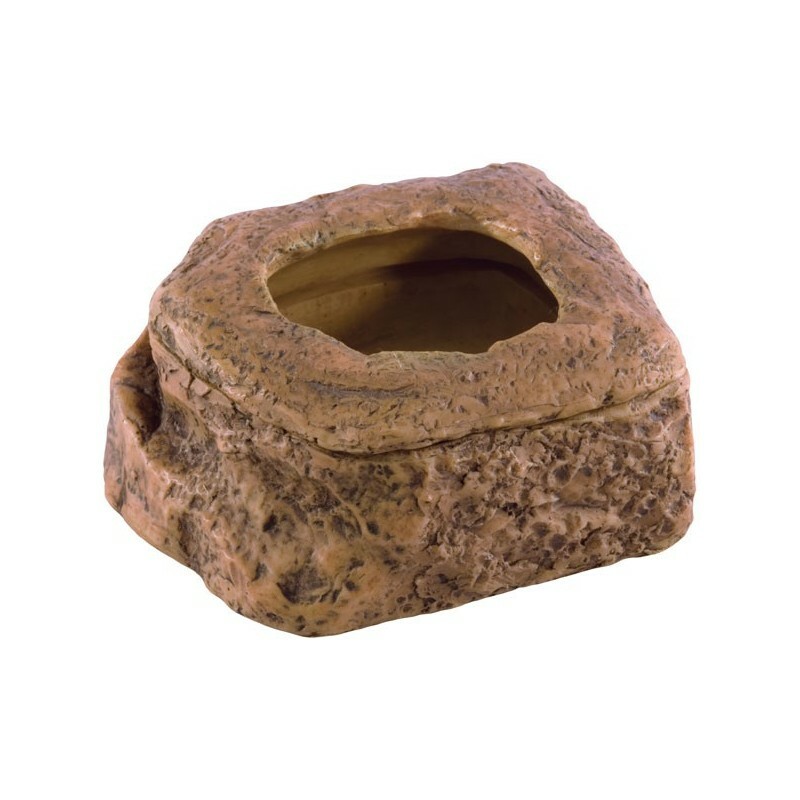 The Exo Terra Worm Dish prevents mealworms from escaping, while allowing them to remain visible to the terrarium inhabitants. 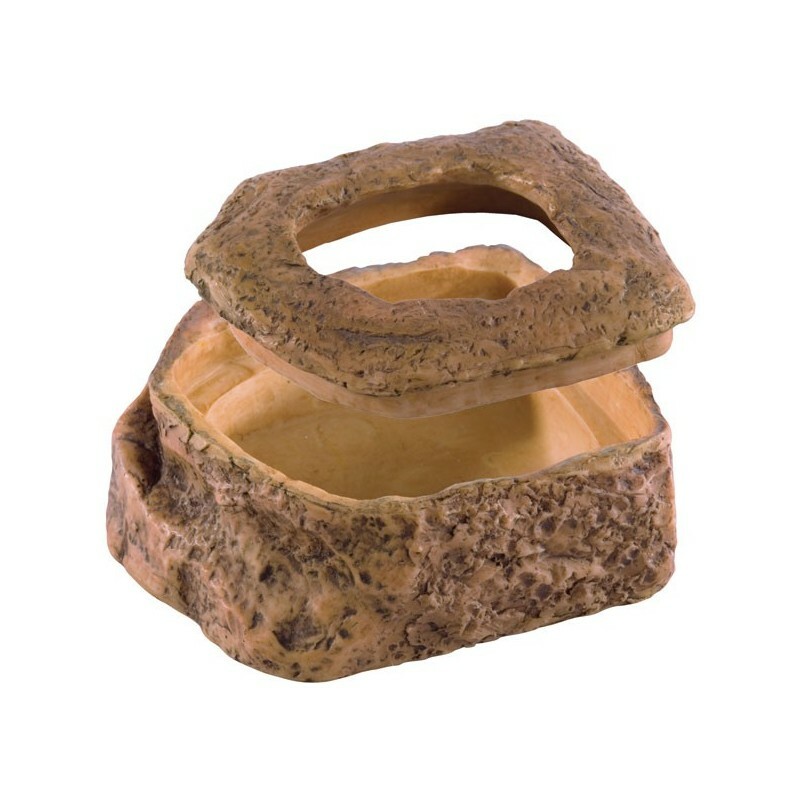 Exo Terra's Worm Dish allows reptiles to see their food (mealworms), but the specially designed edge ring prevents the mealworms from escaping. Vitamin and mineral supplements can be easily added to the dish, and any excess powder can be reused. 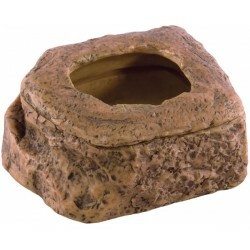 The Exo Terra Worm Dish is constructed in two parts to facilitate cleaning. Mealworms need to be contained when they're placed inside the terrarium. If not, they will quickly 'escape' by digging their way into the substrate. There they will remain hidden until they can metamorphose into an inedible beetle. More likely, they will simply die, their decomposing bodies creating a banquet of harmful bacteria. 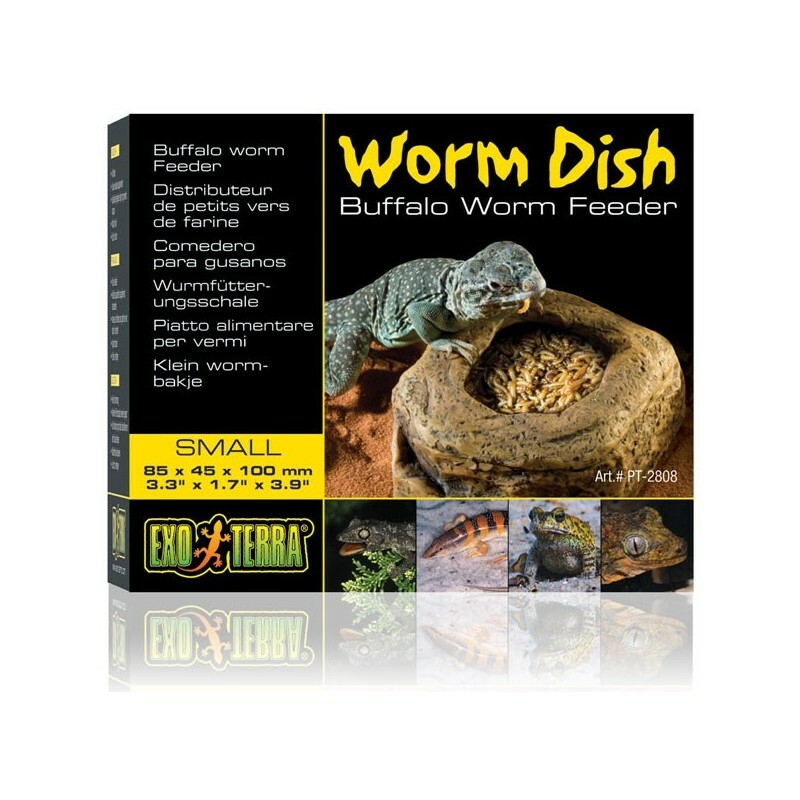 The Exo Terra Worm Dish prevents mealworms from escaping, while allowing them to remain visible to the terrarium inhabitants.